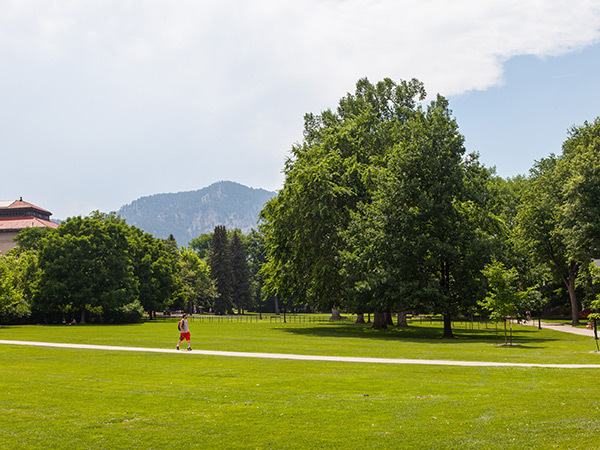 Positioned on a plateau overlooking the City of Boulder with the Rocky Mountain Flatirons to the west, this campus began as a barren 44-acre plot donated to the University of Colorado in 1872. 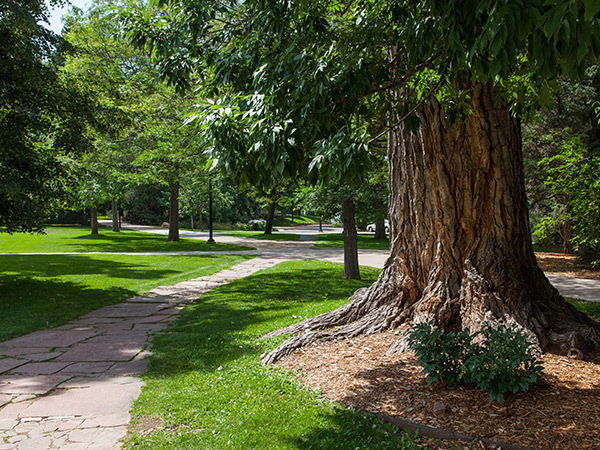 Mary Sewall, wife of the first university president, is credited with introducing green lawns and groves of trees to the formerly arid prairie. 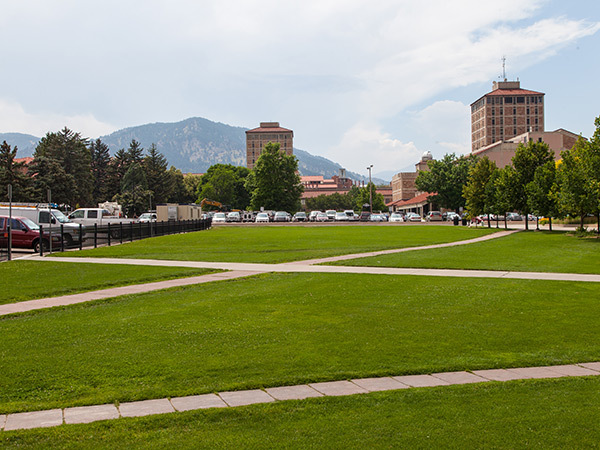 For the first thirty years, the campus expanded around the east-west oriented, cruciform-shaped open space known as Norlin Quadrangle. In 1919 Philadelphia-based architects Day & Klauder developed a Beaux Arts master plan influenced by Tuscan vernacular farmhouses. Building clusters and open spaces, organized on a series of axial paths, conceal and reveal elements along a continuous progression. 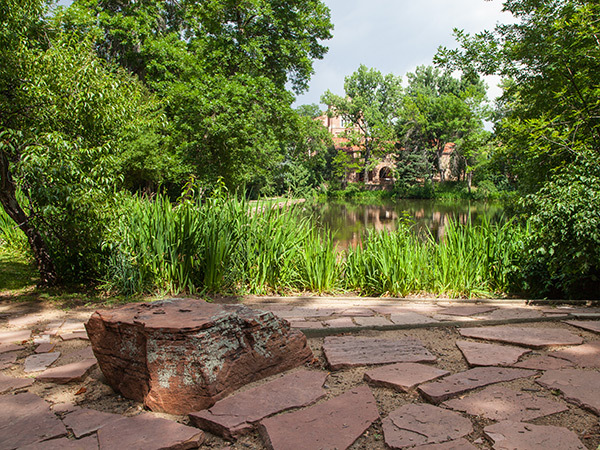 Symmetrical buildings of multi-hued, locally quarried sandstone topped with mission tile roofs are organized around variously-sized courtyards. 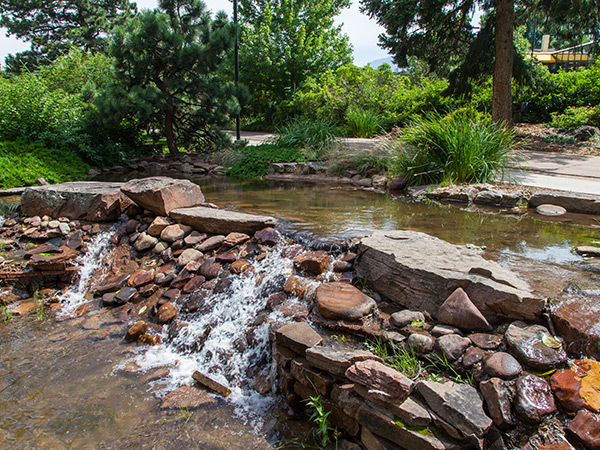 Ranging from spacious to intimate, the interior open spaces are vegetated with informal plantings to contrast with the architecture. 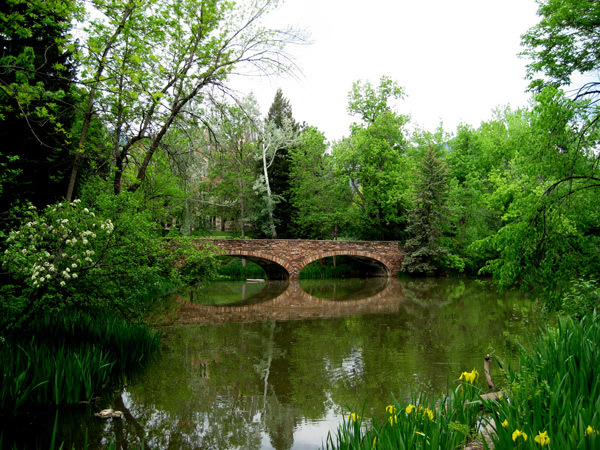 Following World War II the Main Campus grew to 313 acres with the acquisition of surrounding farmland. 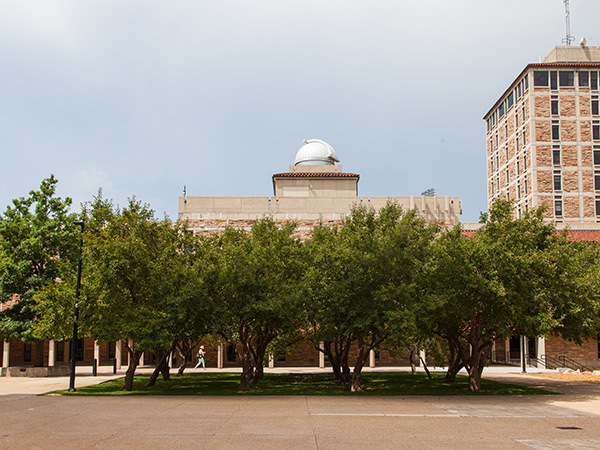 In 1960 Sasaki, Walker and Associates was commissioned to update the master plan and Hideo Sasaki remained an active designer there until 1994. Sasaki’s work respected Klauder’s design principles but used new forms and materials to link historic elements with modern development. 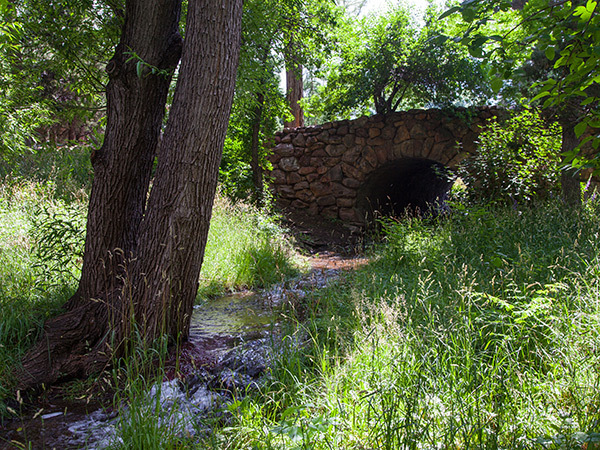 Native plants and locally-quarried stone unite the campus open spaces while an historic open-ditch acequia system that connects with Varsity Pond is utilized for irrigation. 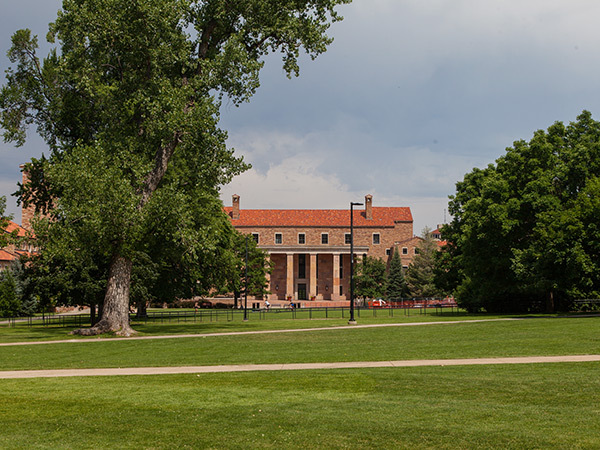 In 1980 Norlin Quadrangle was listed on the National Register of Historic Places.